Sayulita offers quality horseback riding adventures for everyone's vacation! Horseback riding is one of the most popular outdoor activities offered in Sayulita. This is an absolute favorite amongst family and friends. Sayulita is an excellent destination for adventure travel and the best (and most fun) way to see the most fascinating parts of the country is on the back of a horse! Sayulita Weddings, organized riding trips, families, and couples all love our fabulous and well informed tour guides, one being Painted Ponies. Experienced equestrians and beginners alike can experience riding on the beach and through the jungle of Sayulita. BOOKING the riding trips are a breeze and Painted Ponies' horses are all quality horses, and receive quality care to ensure good health. The horses have happy dispositions and are lovely movers, which makes it a very enjoyable experience for all levels of riders. 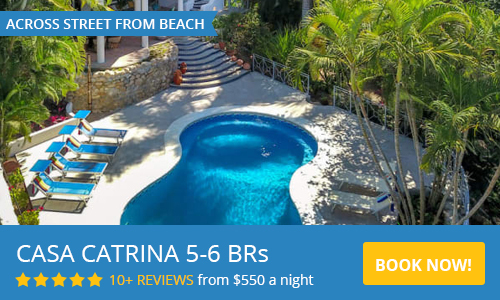 This makes Sayulita a perfect vacation for the equestrian enthusiast or the casual rider! Another great option for horseback riding in Sayulita is Rancho Mi Chaparrita. Don Luis Verdin is the owner and founder of this family business and horses are his passion. He takes pride in finding the best horses in Sayulita and ensures they are well trained and well cared for. His family business has grown to have many employees, and you can tell they love what they do. The bilingual guides for Rancho Mi Chaparrita will make sure you have a great time, while ensuring the comfort and safety of the riders by giving instruction if needed, before your ride. They have horses that will match all ages and skill levels. You do not have to be an experienced rider to have fun! Vista Paraiso Equestrian Center is located in Higuera Blanca, just 6 miles south of Sayulita. This company not only offers horseback riding tours, but is also a fully equipped Equestrian Center. If you have always wanted to learn to really ride a horse, or just want to brush up on your skills, they have a lesson package that will suit you. In addition, they offer lessons in dressage, show jumping, and of course pleasure riding, for all levels of riders. Private and group riding lessons are provided. 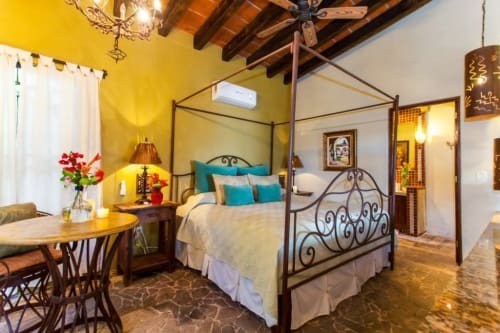 Higuera Blanca is a nearby and pleasurable day trip from Sayulita, see our transportation page for arranging a day trip to Vista Paraiso Equestrian Center and Higuera Blanca. 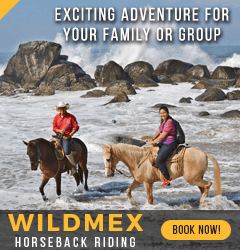 Sayulita Horseback riding in Sayulita, Mexico is a very exciting adventure for your family or group. The horses available in Sayulita vary in size but all are very tame and well trained for trail riding as well as spending time on the beaches. Guides offer a great Sayulita horseback ride day-trip to a variety of locations depending on your preference. Choices include jungle trails, long beaches, rides through the village, or a combination of all three. Remember that in Sayulita, horseback riding used to be a way of life so cowboy culture is still seen around town, and you can be part of the experience! It is not unusual to see people on horseback riding through the village, going to work or running errands. If you are lucky enough to be in Sayulita for one of the many celebrations or parades, you may see dancing horses. These lively steppers appear to be dancing in the streets with the proud rider wearing his finest cowboy hat and shirt. 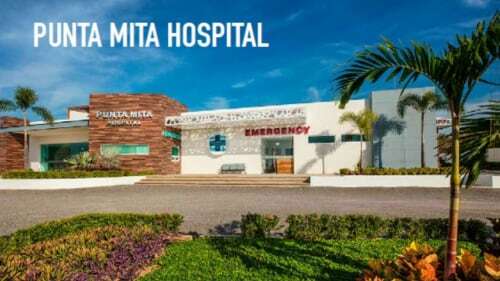 It is a sight to see! Enjoy watching or playing Polo & other Equestrian events. There are local businesses provide and promote polo training as well as athletic, recreational and touristic equestrian activities. Polo games, equestrian classes and clinics, competitions, exhibitions and more! Horseback tours in Sayulita, Mexico are also excellent opportunities for bird watching and getting close to spectacular wildlife in the area. Your guide will often point out interesting critters and plant life in and around Sayulita. While on horseback, you will gain a different perspective, and may notice beautiful flowers and vines in the jungle that you may not notice while on foot.